Call us today at 810-771-7736! Dr. Dana Anderson and Dr. Tera Hamo Anderson at Anderson Hamo Chiropractic are the best chiropractors in the area specializing in chiropractic care, wellness, and sports injury prevention and rehabilitation. 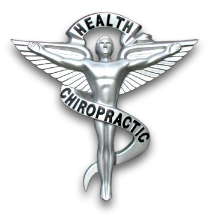 Dr. Dana and Dr. Tera are chiropractors committed to providing pain relief for many symptoms and conditions so that you can have a higher quality of life. Don't just take our word for it though; visit our testimonials page to see what our patients have to say. At our office you will receive the best care through the use of modern chiropractic techniques and technology. Dr. Dana, Dr. Tera, and the staff at Anderson Hamo Chiropractic have a genuine concern for your well-being and health! Call us today and we can develop a chiropractic plan specific for you. To receive free wellness and health articles subscribe to our bi-weekly newsletter. If you are already a newsletter subscriber, please explore the member wellness section of our website for animated exercise videos, wellness articles, chiropractic resources, and health facts specifically targeted to your wellness needs and interests by Dr. Dana and Dr. Tera. "Dr Tera and her staff are amazing! At 40 weeks pregnant my back was causing some major issues making it hard to walk. They got me in asap and already walking better than when I went in. Thank you guys so much!!" "Absolutely amazing. Three doctors later I finally was referred to see Dr. Tera , and I couldn't be happier. After multiple days of very limited mobility I'm finally able to walk and get back to my normal daily routines. I can't thank her enough. I highly recommend her!"